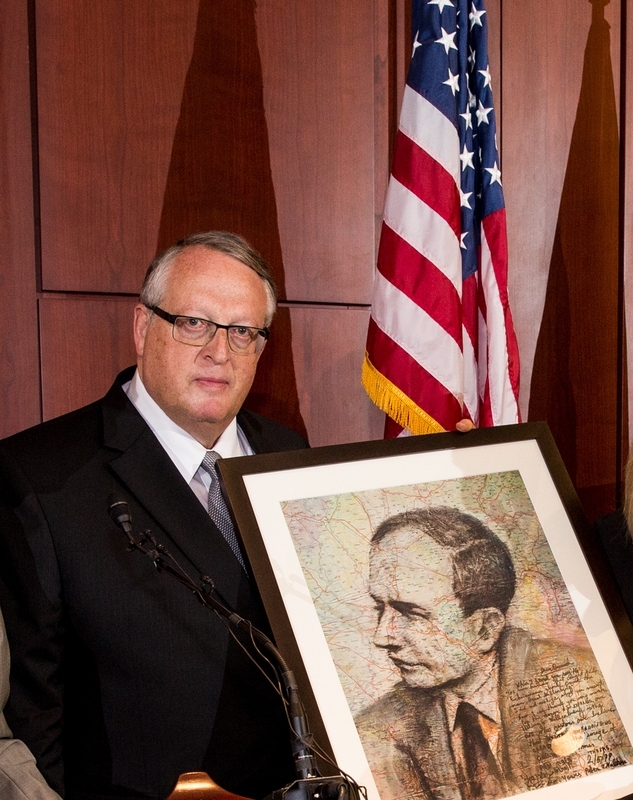 With the presence of the US Congress, Wallenberg Family members, Swedish government officials gathered last week to honor the International Raoul Wallenberg Foundation, in the presence of descendants of people who had been saved by Wallenberg. His sister, Nina Lagregen, accepted the medal on his behalf. 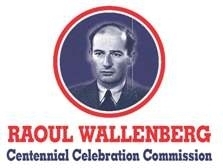 The commemoration of Wallenberg began in 2011 with the creation of the Raoul Wallenberg Centennial Celebration Commission (RWCCC) by Ezra Friedlander under the chairmanship of Peter Rebenwurzel in collaborative partnership with the International Raoul Wallenberg Foundation which spearheaded the effort to honor Raoul Wallenberg with a Congressional Gold Medal during in honor of his centennial , legislation that was introduced in Representatives Gregory Meeks and Nan Heyworth and by Senator Kirsten Gillibrand and Mark Kirk, and unanimously passed in 2012-the year of his centennial. 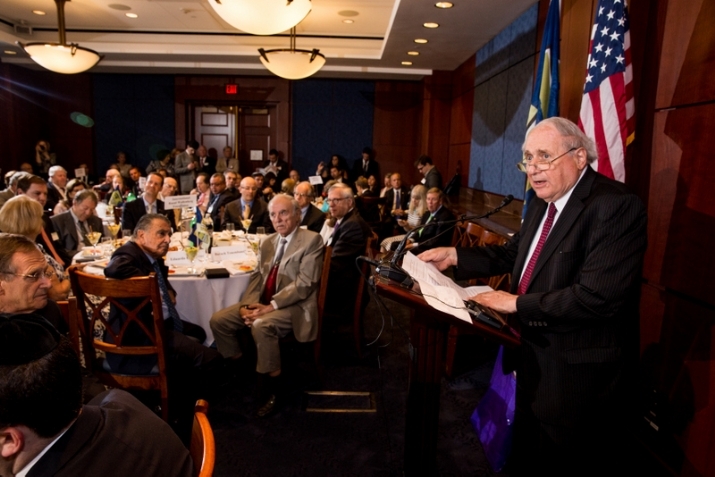 Prior to the actual ceremony, a luncheon was held to honor Eduardo Eurnekian, the Chairman of the International Raoul Wallenberg Foundation (IRWF), and its founder Baruch Tenembaum. The IRWF’s mission is to preserve and spread awareness regarding the legacy of Raoul Wallenberg through research, commemoration activities and educational programs. 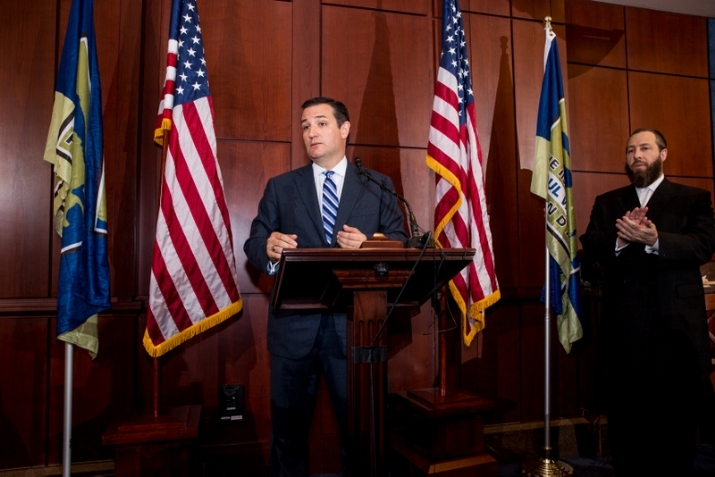 The Luncheon honoring Mr. Eurnekian featured the participation of Senators Cruz, Gillibrand, Kirk, Cardin, Graham, Levin, Isakson, Franken, Blumenthal, and Representatives Meeks, Schneider, Paulsen, Van Hollen, McDermott, Hultgren, Goodlatte, McGovern, Pittenger, Harper, Schakowsky, as well as US Treasurer Rios who all acknowledged Nina Lagergren and members of the Wallenberg family who flew in from Sweden along with the Speaker of the Swedish Parliament, Per Weterburg and Minister for Foreign Affairs Carl Bildt who all paid tribute to Wallenberg’s heroism and highlighted the memory of the late Guy von Vardel, Wallenberg’s half-brother, who spent much of his life to discover Wallenberg’s fate. 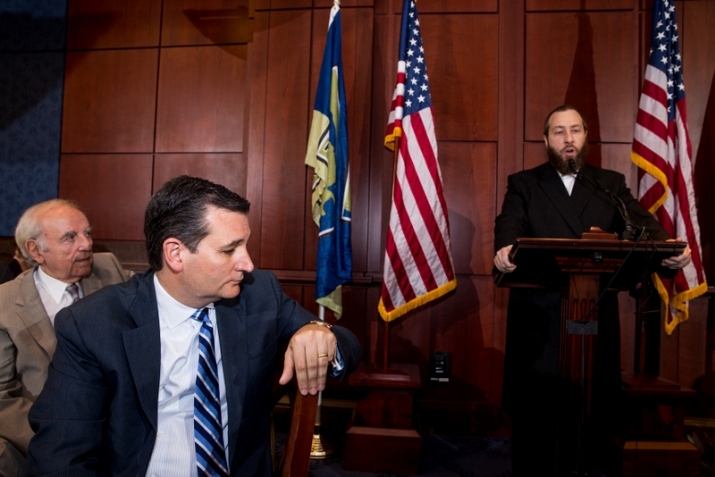 The ceremony in the afternoon included the participation of Speaker John Boehner, Majority Leader Eric Cantor, Senate Majority Leader Reid, Republican Leader McConnell, and Democratic Whip Hoyer. 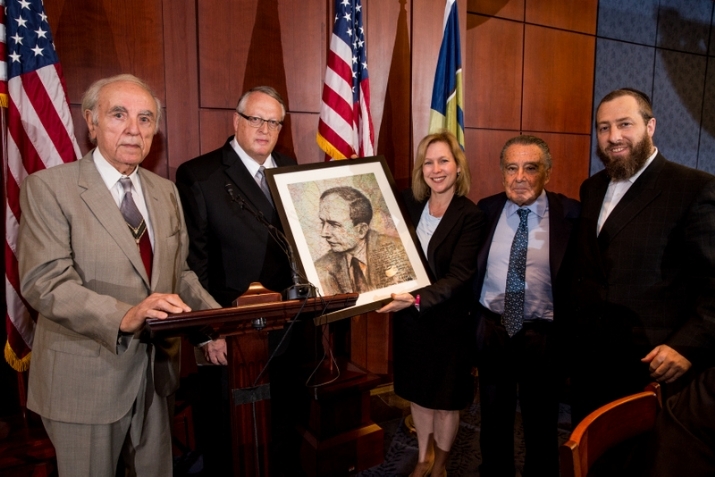 Directly following the ceremony, there was a brief reception to close out the events with a special presentation by NYS State Assembly Speaker Sheldon Silver to honor Peter Rebenwurzel who was the Chairman of the RWCCC and whose father-in-law, Alexander Herman, was actually saved by Raoul Wallenberg. 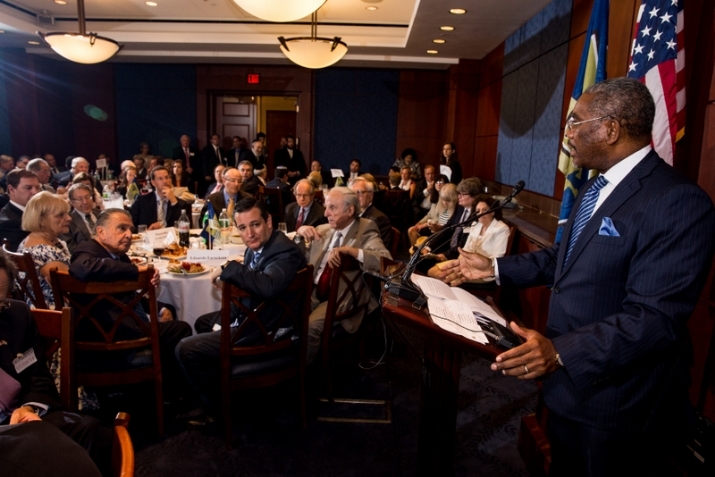 Rep. Chaka Fattah and Rep. Paul Gosar made remarks along with members of the Wallenberg Family and Annette Lantos, the wife of the late Rep. Tom Lantos, who was also saved by Wallenberg. “Having Wallenberg receive the Congressional Gold Medal 70 years to the day that he arrived in Budapest was a Kiddush Hashem (Sanctification of God’s name) and an opportunity for the world to see both survivors who were saved by Wallenberg as well as descendants of those he saved gather in Washington for no other purpose than to say thank you in the presence of Wallenberg’s sister Nina”- said Peter Rebenwurzel who chairs the Raoul Wallenberg Centennial Celebration Commission established by Ezra Friedlander, CEO, The Friedlander Group which advocated for the Bill’s passage.